A funeral is used to mark the end of a person’s life here on earth. Family and friends come together to express grief, give thanks for the life lived and commend the person into God’s keeping. Everyone is entitled to either a Christian burial service (funeral) or to have their ashes buried in their local parish churchyard by their local parish priest, whether or not they were churchgoers. The burial policy of each church sets out those who are able to be buried in the churchyard but do not presently live in the parish. Speak to your local vicar for more information. 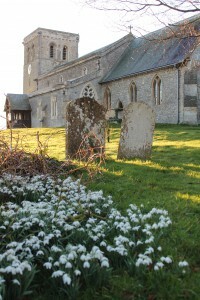 At Horspath the churchyard is full and only receives ashes interments, but the Parish Council provides alternative places of burial and the vicar can carry out the service there instead of the churchyard or crematorium. When somebody you love dies, there’s a lot to think about and it can feel overwhelming at the time. There are some useful resources on the Church of England website which may help you start your thinking about the service for your family member or friend. But don’t worry – your vicar will not expect you to ‘know all the answers’. She is there to help you plan the service and to support you in your loss. There are regulations on the sort of memorials that are permitted in churchyards. You can find out more in the leaflets below as well as helpful resources for people experiencing bereavement or loss.